This Purana has a different version of stories that I have read in other Puranas. 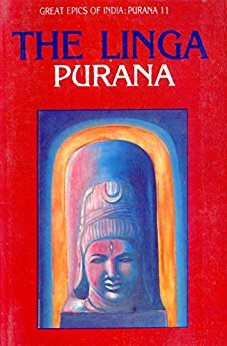 In this Purana, the stories are altered to glorify Shiva, and in some cases deviates from the original version a lot. One of them is when they talk about the story of Prahalad and Narsimha, which I am going to mention. The second story I am going to mention is about Sage Dadhichi. This story is interesting because I haven’t heard the story of Dadhichi, and how he came to have bones as hard as the vajra. The story of Dadhichi actually tells you about how the tirtha Sthaneshvara was named. There once lived a Sage named Dadhichi, who had a friend called Kshupa, who was a king. One day the friends started arguing on which class is better, a brahmana or a kshatriya, each supporting their own class. Once during a war between the gods and the asuras, Indra had given Kshupa his vajra so that Kshupa could help them fight the asuras. The argument got bigger, and they started to fight physically. In anger, Kshupa used the vajra and sliced Dadhichi into two. However, before dying, Dadhichi called upon Shukracharya, the guru of the asuras, to bring him back to life once he was dead, as Shukracharya knew the technique of mrita sanjivani. Once Dadhichi was resurrected, Shukracharya advised him to pray to Lord Shiva so that Dadhichi could become immortal. Dadhichi complied and started doing difficult tapasya to please Shiva. Shiva was pleased with the tapasya, so he granted Dadhichi the three boons that were asked by him. The first boon was that Dadhichi should become prosperous, the second that his bones should be as hard as the vajra, and the last that Dadhichi should never be killed. Pleased with himself, the sage decided to give his friend Kshupa a visit. They started fighting again, but this time the vajra did not affect Dadhichi. Kshupa was amazed, and he started praying to Vishnu for greater powers, but Vishnu told Kshupa that there was very less he could do as Dadhichi was fortified by Lord Shiva’s boons. He reassured Kshupa with the fact that he would try. He went and told Dadhichi to act scared in front of Kshupa and say that he feared the king. Dadhichi however had no intention of listening to Vishnu. He instead told Kshupa that he had no reason to be scared as he was Lord Shiva’s devotee. Angered by these words, Vishnu hurled his sudarshana chakra to kill Dadhichi, but this did not him. Even after trying to kill Dadhichi with several weapons and with the help of many gods, he failed. On the other hand, Dadhichi pulled a couple of reeds and threw it at the gods. The reeds turned into flaming tridents which threatened to burn up the gods. Vishnu then showed his vishvarupa to Dadhichi, but he laughed and said that he could do the same. Before the fight could get bigger, Brahma advised Vishnu to pray to Dadhichi and Shiva for their forgiveness. This place is known as the Sthaneshvara tirtha. Hiranyakashipu was an asura who had a brother named Hiranyaksha, who was killed by Vishnu. Hiranyakashipu had a son named Prahalad who was devoted to Vishnu. Prahalad’s thoughts were always fixed on Vishnu. Hiranyakashipu hated Vishnu as Vishnu was the one who killed his brother. Though he tried to dissuade Prahalad from worshipping Vishnu it did not work. Tired, Hiranyakashipu decided to kill Prahalad. His demons used various methods to try killing Prahalad, they did not work. Vishnu took the form of Narasimha (half-lion, half-man), to kill Hiranyakashipu. After doing so, Narasimha threatened to destroy everything. The gods and Brahma fled to Shiva for mercy. Shiva assured the gods that he would do something. From his body, he created another being known as Virabhadra who was nothing more than a form of himself. He instructed Virabhadra to try to convince Vishnu to give up his form, and if that did not work, Virabhadra had to kill Vishnu. When Virabhadra tried to convince Vishnu to give up his form, it did not work. He killed Vishnu. This does not mean that Vishnu was killed. It means that only the Narasimha form of Vishnu was killed. Vishnu merged into Shiva once he was killed and Narasimha’s skin was worn by Shiva, and his skull adorns Shiva’s garland. The Linga Purana is extremely sacred. Brahma says that is one reads this Purana, one is forgiven of all their sins. It is better to read this Purana then perform rituals, sacrifices, or donate alms, as a lot more punya is accumulated just by reading this holy Purana. This review was first posted on IndicToday on April 9, 2018.